Join our LTE User Group and we can promote your research and updates on our website. Find out how you can join here. Ainsdale Dune Slacks LTE Joins ECT Network: ECT has registered the Ainsdale Dunes long-term herbivore grazing experiment in its network of active research sites. Also known as the Sally Edmondson plots, the site is managed by Loughborough ecologist Jonathan Millett and owned by Natural England as part of its Ainsdale Dunes National Nature Reserve (NNR). BIFOR-FACE LTE Joins ECT Network: ECT has registered the Birmingham Institute of Forest Research’s (BIFOR) Free-Air Carbon Dioxide Enrichment (FACE) long-term experiment in its network of active research sites. Managed by PI Rob Mackenzie, BIFOR-FACE is only the second such facility globally, and the only one in the northern hemisphere. Read more here. Newsletter: ECT’s March newsletter is now published and headlines with our new YouTube channel and the launch of our two-monthly webinars. It also highlights our upcoming Buxton conference (register here), news from our RainDrop LTE and review of our very successful 10th anniversary activities. Download it here. Student Grant Award: ECT is pleased to announce the award of a small grant to PhD student James Edgerley at Lancaster University, whose studies on soil communities under climate change will include work on our Buxton Climate Change Impacts Laboratory site in Derbyshire. New blog post: ECT Ten Years On, by Jonathan Silvertown. Read Jonathan’s review of where ECT came from and what we have achieved in our first ten years. Access our blog page here. Call for New ECT Trustees! ECT is recruiting new trustees to supplement its existing Board of eight voluntary members. View our recruitment advert and person specification. Full application packs are available on request from ECT’s Executive Director. The closing date for applications is 5pm on Friday 29 March 2019. ECT is launching its first annual national conference on LTEs this year, in partnership with BES’s Plants-Soils-Ecosystems SIG. The two-day conference is titled Long-term Ecological Experiments in Plant-Soil Ecosystems and will take place on 21/22 May 2019 at the superb Pavilion Gardens in Buxton, Derbyshire. Registration now open at the link above. Further details available here. New video: a full video recording of ECT’s thematic session at the BES2018 conference in Birmingham is now available free via our videos webpage. The recording features all our speakers and the ensuing interactive discussion. Maintenance Grant Award: ECT is pleased to announce the award of a maintenance grant to PI Andreas Heinemeyer at the University of York, who works on the Peatland-ES-UK LTE in north-west England. Andreas will be using ECT funds to replace and upgrade ageing rhizon water samplers across the experiment’s three sites in North Yorkshire and Lancashire. If you are interested in using these sites as research platforms, please view our Peatland-ES-UK webpage. Launch of ECT’s YouTube Channel: ECT has launched a brand new YouTube channel. You can subscribe here and view our first introductory video featuring Edinburgh’s Jonathan Silvertown speaking about long-term ecological experiments. Newsletter: ECT’s December newsletter is now published and headlines with the latest new pages on our website and an update on the Peatland-ES-UK LTE. It also highlights our on-going 10th anniversary activities, plans for our 2019 meeting, and our small grants scheme. Download it here. Speaker Programme: ECT’s tenth anniversary celebration session at this month’s BES2018 conference in Birmingham takes place on Tuesday 18 December in Hall 1 from 3pm to 5.15pm. Download the speaker programme here. 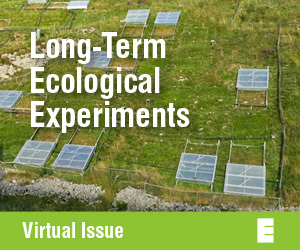 ECT TENTH ANNIVERSARY PUBLICATION: to help celebrate ECT’s tenth anniversary, the BES family of journals has published a cross-journal Virtual Issue on Long-term ecological experiments forever! - Unique challenges and opportunities. Edited by Emma Sayer and ECT Trustee Jonathan Silvertown, the issue is now available on-line here. New Publication: prescribed moorland burning may not be as damaging as previously thought. See latest publication in Nature Geoscience by Rob Marrs et al on research at Hard Hill long-term experiment on the Moor House NNR in Upper Teesdale. An associated press release from the University of Liverpool is available here. Small Grant Award: ECT is pleased to announce the award of its latest small grant to Luke Andrews at the University of York. Luke will be using the Cors Fochno LTE for his PhD-related work studying the effect of climate change on carbon sequestration in peatlands. If you are interested in using Cors Fochno as a research platform, read more via our dedicated webpage. 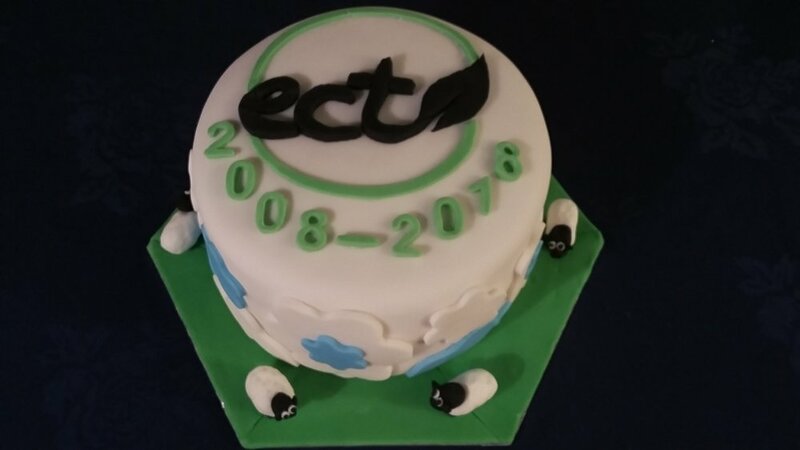 Newsletter: ECT’s September newsletter headlines with new webpages for three of our LTEs, plus a reminder on our tenth anniversary event at BES2018 in December. There are updates from two of our LTEs and a case study on using LTEs as research platforms. Download it here. Dataset Publication: Rose et al have published the vegetation monitoring dataset for the Hard Hill burning/grazing LTE at Moor House in Upper Teesdale via NERC's Environmental Information Data Centre (EIDC), covering the period 1961 to 2013. Access the data here. Newsletter: Our June newsletter highlights our tenth anniversary celebration and the addition of a new LTE to our register. There are quick round-ups from three of the UK's long-term ecological experiments. Download it here. Newsletter: Our September newsletter contains a quick round-up of 5 of the UK's long-term experiments. Download it here. Blog: Student Rowan Davis reflects on his undergraduate research project at RainDrop. 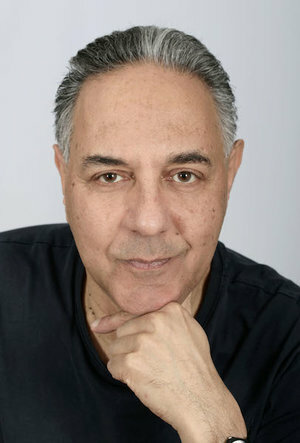 Read his blog here. News from the ECT: To read our latest news and updates, download our June 2017 newsletter. Blog: Dr Richard Payne (University of York), writes about the long-term experiment he works on in Wales and the importance of bog research. Read Richard's blog here. Grants: The Lena Ward plots on Aston Rowant Nature were awarded a grant of £2000 to facilitate the upgrade of fencing around plots. Jessica Bays, the former ECT Engagement Officer joined volunteers on site. Read her blog here. Conference: Committee on Air Pollution Effect Research (CAPER) 2017. 10-12 April, School of Agriculture Food and Rural Development, Newcastle University. Further information can be found here. News from the ECT: To read our latest news and updates, download our December 2016 newsletter here. Publication: An article has been published recently in 'Advances in Ecological Research' highlighting the contribution of the Rothamsted's Long-term Experiments (LTEs), Sample Archive and Insect Survey to ecological research. It concludes that the LTEs, Sample Archive and insect collection continue to be as valuable today as when they originally began. News: A recent article on the BBC Science & Environment webpages focused Rothamsted Research's commitment to making complex data from long-term experiments accessible and useable. Rothamsted is a member of the GODAN Initiative, and works to help promote the sharing of open data, making information about agriculture and nutrition freely available. Publication: A Special Issue of the journal Ecological Indicators, was issued to celebrate 20 years of of detailed site-based monitoring and showcasing a range of research using Environmental Change Network data and sites. Conference: Sustainable Intensification, 28-30 November 2017. Organised by Association of Applied Biologists and the Sustainable Intensification Research Platform (SIP), this conference will address the challenge of sustainable intensification, the outcomes of the DEFRA funded SIP and other relevant research. Deadline for papers - 11 December. Paper: 'Longer growing seasons shift grassland vegetation towards more-productive species'. Fridley et al., 2016. Nature Climate Change. Analysis of 21 plant species coexisting on BCCIL plots, reveals a strong association between functional traits and temperature regime. Click here to read Syracuse University's blog post on the article. Paper: 'Ecological restoration: Soil microbes call the shots'. Marrs (2016). Nature Plants. Letter looking at the use of soil microbes in ecological restoration, and how they can help ‘design’ new target communities more subtly. Floodplain Meadow Partnership conducted their regular fritillary count and survey of the water-management trial plots at North Meadow, Cricklade in Spring. Monitoring is going strong and now in its 18th year the fritillary count attracted over thirty volunteers and was showcased by BBC1's Countryfile programme. Paper: 'Phenological sensitivity to climate across taxa and trophic levels.' Thackeray et al., (2016). Nature. Analysis of 10,003 long-term phenological data sets, including data from the Rothamsted Insect Survey, reveals that secondary consumers have consistently lower climate sensitivity than other groups. Paper: 'Long-term changes in the tree and shrub layers of a British nature reserve and their relevance for woodland conservation management'. Kirby et al., (2016). Journal for Nature Conservation, 31, 51-60. Click here for further information. Event: To celebrate Park Grass turning 160, Rothamsted Research invites you to ‘160 years of Park Grass'. This free public event takes place on Tuesday 17th May, 5.30pm to 8.00pm. Click here to find out more. 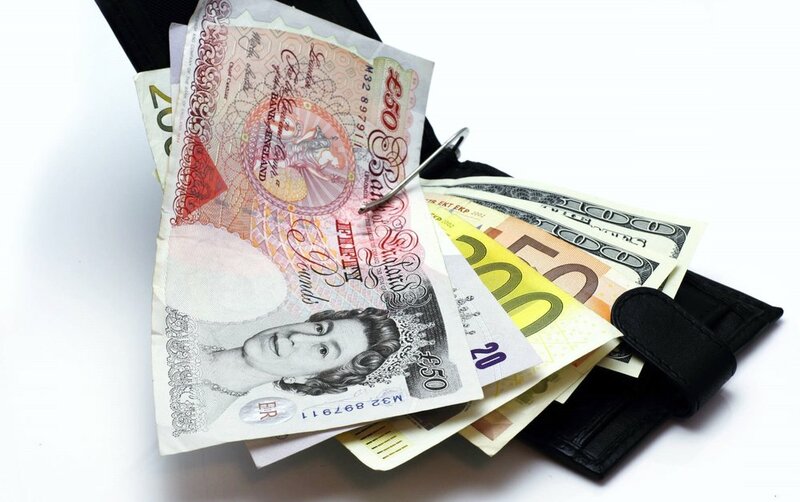 Grants: We provide grants of up to £1000 to researchers who work on LTEs on our register. Click here to find out more. How to strengthen links between research and farming: Rothamsted Research North Wyke and Duchy College Rural Business School hosted their first Advisory Group Meeting in February, with key representatives from the research and farming communities. Blog post: 50 years of change in the Sheffield region, by Dr Carly Stevens. Paper: Grassland biodiversity bounces back from long-term nitrogen addition. J. Storkey et al., (2015). Nature 528, 401–404.